Active since 2012 and with a couple of EP/vinyl releases under their belt, Worcester, MA act Second Grave put forth their debut full-length Blacken the Sky. Three years in the making, the quartet reside in an interesting amalgamation stylistically – using aspects of heavy rock and metal to convey an addictive, alluring brand of doom that acknowledges the legacy of the genre while attaining enough emotional connection to gain current appeal. Guitarists Chris Drzal and Krista Van Guilder drive simple, slow chord combinations into this churning aural tidal wave – check out the final 3 minutes of the 8:11 opener “No Roam” and you’ll just melt from the heaviness pouring out of your speakers. This is a band unafraid to admit that there were bands of the 90’s during the alternative/grunge heydays that spoke to them – allowing them to add a bit of that haunting atmosphere a la Soundgarden, Alice in Chains or the Smashing Pumpkins on the relatively up tempo “17 Days”. 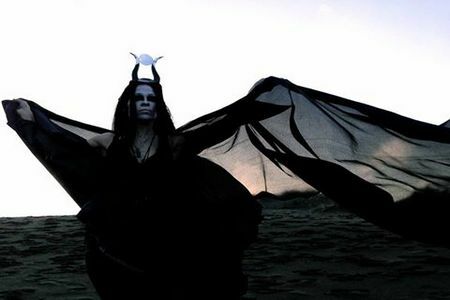 Overall though, Second Grave pay tribute to Black Sabbath and its close offshoots Trouble and Candlemass the most – chilling riff and tempo combinations along with the versatile vocal prowess from Krista (who many probably remember from her time in Warhorse) that make the 11-minute plus “Death March” and “Bloodletting” definitive highlights. A couple of shorter pieces “Processional of Lies” and “Into Oblivion” break up some of the epic material nicely – and the closing title cut is a wild card departure in the sense of serene melody choices and quieter, cleaner instrumental accompaniment. 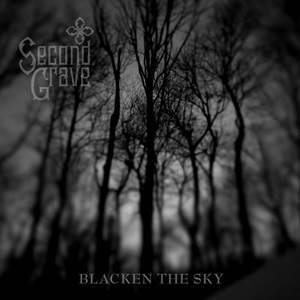 Announcing their demise at the time of this release (they will develop new projects/bands, rest assured), at least Blacken the Sky showcases Second Grave going out at a peak point creatively – providing vital proof that New England’s talent pool is not running dry anytime soon.